The monkey trial. It was 90 years ago. We know the key players – the fabulously successful criminal trial lawyer who defended Scopes (but lost) and the 3-time Democrat presidential candidate (and erstwhile preacher) who attacked Scopes (and won). It was Clarence Darrow against William Jennings Bryan. But what about John Scopes – the young man on trial? Scopes, the teacher-defendant during the 1925 monkey trial was found guilty of subverting young minds with scientific ideas. You might think his life was ruined. And the judgement should have ended the pro-evolution and pro-science nonsense that was so rife back in the 1920s. The guilty verdict against the teacher should have put an end to the theory of evolution. But science keeps rearing it’s ugly head. So today, we know about things like DNA and mutations and genetic manipulations. We treat congenital disease, try to disrupt rapidly evolving bacteria, and we fight cancer with ideas taken straight from The Evolutionist’s Songbook, instead of The Methodist’s Hymnbook. What went wrong? And what ever happened to John Scopes? Scopes was 24 years old, hired to replace Dayton High School’s biology teacher for one year. But he actually taught algebra and physics during that year, and likely never gave a single high school lecture in evolution – which by 1925 was a 65-year-old scientific reality pretty much universally accepted by biologists everywhere. But Tennessee had outlawed teaching the idea in the state’s schools, believing that teaching evolution to children would make them act like monkeys. Some inspired businessmen in Dayton, Tennessee, hatched a plan to put their town on the map and into the history books. Their leader was George Rappleyea, a geologist and the manager of a local coal company. Knowing Scopes had just a one-year teaching contract, Rappleyea asked Scopes if he’d mind very much becoming famous. The American Civil Liberties Union agreed to fund the defense of John Scopes. The trial attracted Clarence Darrow, the world’s most famous trial lawyer, as Scope’s defense attorney. In opposition was William Jennings Bryan, a fundamentalist, professional populist, and perennial failed Democrat candidate for president of the United States. In July 1925, radio was new and the trial was broadcast to a bored public that didn’t have much else to gossip about that summer. The Dayton businessmen were right – the trial caught the attention of the country and made their town famous. Think of it as, say, the 1925 equivalent of CNN’s coverage of the missing Malaysian airliner or OJ on a slow drive through LA. 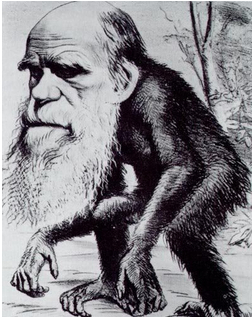 After eight days, Darrow lost, Scope’s was found guilty of teaching evolution and he was fined $100. But the case was overturned on appeal for a technicality. The anti-evolution legislation stayed on the books in Tennessee for just another 42 years, being repealed in 1967. I guess everyone knows the cultural effect of the Scope’s Trial. Monkeys were allowed in biology textbooks, evolution was accepted by everyone, and science prevailed. Or maybe not. But some interesting points were made. Clarence Darrow cautioned that the Bible mentioned a talking snake, Eve’s construction from a rib and the mysterious appearance of Cain’s wife. (Where did she come from, anyway?) So it was obvious, to Clarence Darrow, that the Bible was not intended as a science textbook. If only such logic prevailed everywhere. Astonishingly, hostility against science in America seems as strong today as it was in 1925 – even if the anti-science folks don’t mind using scientific discoveries each and every moment of their miserable lives. What happened to John Scopes? He learned his lesson. He quit teaching school. Scopes became a geologist. He realized his reputation as an earnest young Tennessee science teacher wasn’t going to carry his career very far. So he went back to college. Scopes earned a master’s in geology (he had minored in geology for his first degree). He worked for Gulf Oil in Venezuela, where he met his future wife. He was baptized as a Roman Catholic before they married. The couple settled in Houston where Scopes found oil and gas for United Gas Company. (Reserves that are millions of years old and made from the fatty bodies of some of our ancient cousins.) Scopes had a good career. John Scopes died in 1970, aged 70, in Shreveport, Louisiana. 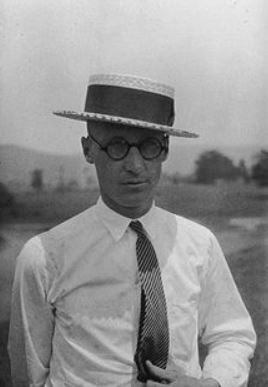 This entry was posted in Biography, Culture, Geology, History, Religion, Science Education and tagged evolution, John Scopes, monkey trial, Tennessee. Bookmark the permalink.